Your India’s golden triangle tour with Amritsar is composed of visiting Delhi, Agra, Jaipur and ‘Pool of the Nectar of Immortality’ – Amritsar. It will take eight days, you will begin your journey from Delhi – India’s capitol after that a grand visit to Agra then Jaipur finally your tour concludes at Amritsar. You will be accompanied by an experienced guide who will assist you in many ways to make the most of your journey. Our agency representative will meet you at Delhi airport and take you to a hotel where you will rest for the night after having dinner there. Early in the morning your guide will meet you and your golden triangle with Amritsar will begin with sightseeing of Delhi most famous sites. You will see old Delhi and New Delhi historical sites like I Qutub Minar, Lal Qila – Red Fort, India’s Gate, Lotus Temple. You will be spending your second day visiting some of political significant sites like The parliament house, with also visit Rajghat – The famous Mahatma Gandhi memorial site. Later in the evening you will depart from Delhi towards your next tour destination Agra city. Agra is located 200km from Delhi , you will reach there in four hours around evening, head straight to hotel and have dinner and spend the night in Agra’s hotel. On the third day of your Golden Triangle Tour With Amritsar you will visit the famous and marvelous white marble structure – Taj Mahal, The history behind this beauty is very interesting, it was built by Shah J Jahan for his beloved wide Mumtaj Mahal. Since then it has been representing a never-ending symbol of love. Given the time on your hand you will explore the inside and surrounding of Taj Mahal, You will see great Mughal structured building inside like prison cells, large public and private halls. Next day take a visit to Agra Fort where you will find many historical significant buildings like Dewan-e-Khas, Dewan-e-Am. Other famous sites to visit while in Agra include Fatehpur Sikri, Mini Taj. Later in the evening of fourth day depart for the famous ‘Pink City’ Jaipur. It also takes around four hours to reach Jaipur from Agra, Jaipur is famously known as ‘Pink City ‘ due to overwhelming beauty of its pink building and the romantic impression its creates on you during moon lighting. Early in the morning start your tour with a visit to Amber Fort, enjoy the pleasure of riding an Elephant here. Other famous sites to visit while in Jaipur includes Jantar Mantar – an astronomical significant structure, City Palace, Hawa Mahal – the palace Of Winds, Birla Temple. Roughly it will be sixth day of your journey and you will head back to Delhi, the ride can gets tiresome so relax for some time before heading to you final destination Amritsar. You will depart from Amritsar by train with you guide, by now you would have made many wonderful memories of India’s great historically significant sites. 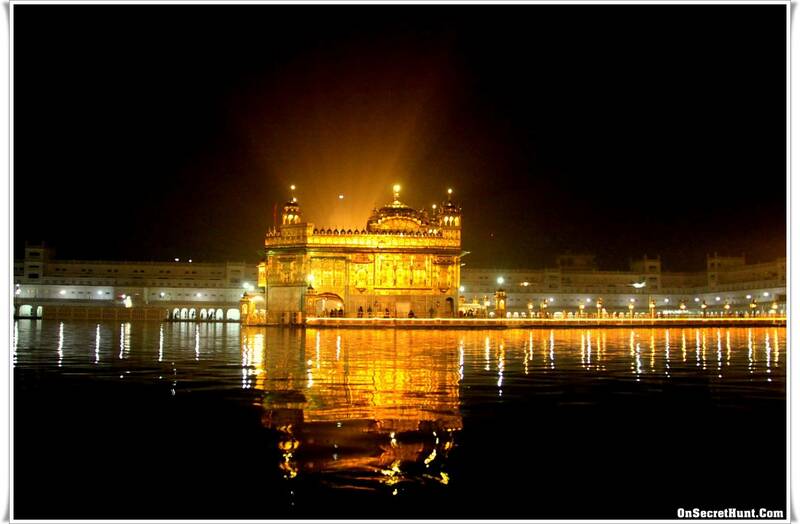 Start your tour of Amritsar the famous city of Punjab with a visit to Golden Temple, then Jallianwala Bagh – you will be shocked by the history behind this park popularity. Also visit Ram Bagh while you are in Amritsar. Later in the evening head back to Delhi, where you can catch your scheduled flight and carry on with your onward travel. By goldentriangleindiatrip in Travel on September 15, 2014 .